Yarra Ranges Council generously support us with a partnership agreement, and also have consistently supported us with our large festival Ecotopia Earth Festival. Yarra Ranges Council also include us in their volunteers trainings, and we are supported by many departments within council. We would not be able to operate at the level we do without Yarra Ranges Council, and we are deeply appreciative of the consistent support they have offered us over the years. Including having their Executive Offer for Sustainability on our Committee of Management. https://www.yarraranges.vic.gov.au/Home Upper Yarra Community Enterprise – Warburton and Yarra Junction Bendigo Bank branches. UYCE have been fantastic supporters of ECOSS over many years. They have consistently supported our Ecotopia Earth Festivals, they provided us with project grants, and have even come to the rescue with a wheelchair accessible portaloo funding at short notice. Upper Yarra Community Enterprise invest an amazing 80% of profits back into the community. They are the foundations for a strong Upper Yarra Valley Community and we are proud and very grateful to be supported by them. www.upperyarra.net.au Hugh Williamson Foundation In 2016 ECOSS were very lucky to receive a large grant from the Hugh Williamson Foundation. This grant was solely spent on building a portable composting toilet and large purpose built classroom at ECOSS. This classroom was essential for ECOSS’s growth, and has been busy since it was available for use. It now hosts 2 x Cert 2 in Horticulture groups per week, other school groups use it every week, Nia dance classes on Monday nights, currently hosting a series of Lantern making workshops, it hosts craft workshops most Sundays, the Yarra Valley Bee group have ongoing monthly bookings, the school of cultural creativity and many more groups are using it. We are so incredibly grateful for this funding that has enabled us to fulfil our vision and expand our capacity to facilitate groups. http://www.eqt.com.au/charities-and-not-for-profits/grants/hugh-williamson-foundation FRRR Foundation for Rural and Regional Renewal. This year we were very lucky to be successful in our application for two projects through FRRR. One was to run a Cert 2 in Horticulture at ECOSS for youth, and another to employ a Youth Worker to administer our Youth Programs. This funding has enabled a vibrant and full schedule around ECOSS with appropriately skilled staff to run the projects. It has enabled ECOSS professionalism in the delivery of the Youth programs, and security in employment for our Youth Worker for 12 months. The Cert 2 in Horticulture course was filled within days! Thank you FRRR! 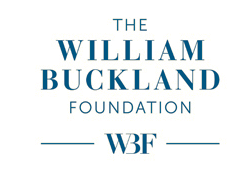 http://www.frrr.org.au The William Buckland Foundation We were lucky enough to receive funding from The William Buckland Foundation from 2012-14. This enabled us to build up our nurseries and offer horticulture training to our trainees, volunteers and work for the dole. http://www.eqt.com.au/charities-and-not-for-profits/grants/the-william-buckland-foundation We have also gratefully received significant funding from the following: Sustainability Victoria Helen McPherson Smith Trust Fund. Yarra Valley FM- host us for a fortnightly show. They stream our Ecotopia Festival live to air. We are grateful for their fantastic community service and support.